» How To Leave Your Comfort Zone As A Developer? For many people, speaking at a conference is one of the most frightening thinks they can imagine. But it’s worth it! You will learn a lot about both your yourself and the topic you are talking about. There are a lot of iOS developer conferences all over the world, so that there are enough possibilities to speak. Most of the conferences have a so-called call for paper. Just submit your talk and with some luck you will get eventually a speaker. And after that it will be even easier to get further speaking opportunities. Like speaking at a conference, blogging can also be quiet frightening. Literally the whole world could read your posts and you could get a lot of negative feedback. But by doing this you will grow eventually. You will not only learn a lot, but you will also become more confident. Take a look at my blog post 10 Reasons You Should Blog As A Developer to learn more about the benefits of blogging. We as developers – and especially as iOS developers – are in the great position to have the opportunity to get a job all over the world. So you can apply for a job at a company in another country, and eventually move there. This is not only a challenging step for your career but for your personal life as well. Of course it seems very often a little bit unrealistic to do this step. But on the other hand it’s possible if you really want to. 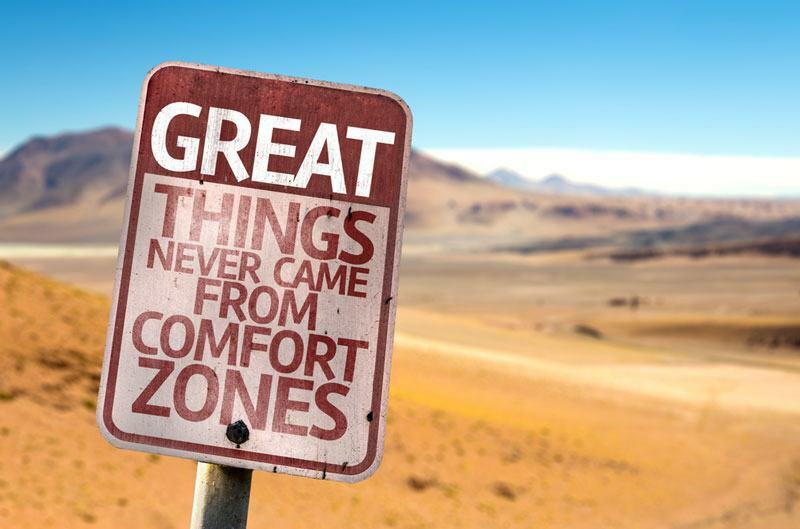 Do you have further ideas how a developer can leave the comfort zone? Please write it down below in the comments!